How is the LEADER approach applied in the Western Balkan countries? Find out how the LEADER approach is applied in Western Balkan countries in a recent publication produced by the Regional Rural Development Standing Working Group in South Eastern Europe (SWG): “From a local initiative to a mainstream concept in the rural areas”. As stated in the foreword of the study, the LEADER approach stands for area-based, bottom-up and multi-sectoral local rural development. The approach is based on autonomous public-private partnerships at the local level for designing and implementing their very own, unique development strategies. Southeast European countries realised the importance of the LEADER Approach in unlocking the potential of rural regions and are currently at different stages of the preparation process for its implementation. Determined to strengthen the integration of local initiatives and rural capacity building in mainstream EU compliant policy making, in particular through bottom-up approaches to local development such as LEADER and Community Led Local Development, SWG, together with the Deutsche Gesellschaft für Internationale Zusammenarbeit (GIZ) GmbH initiated this regional assessment to appraise the current state of the LEADER-like approaches in South East Europe in order to provide evidence based policy recommendations to the countries, the region and the international development partners. 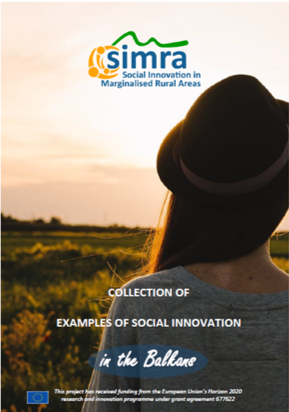 To find out more about examples of social innovation in the Balkans area, read this collection of good practices put together by the Horizon 2020 SIMRA project (Social Innovation in Marginalised Rural Areas).